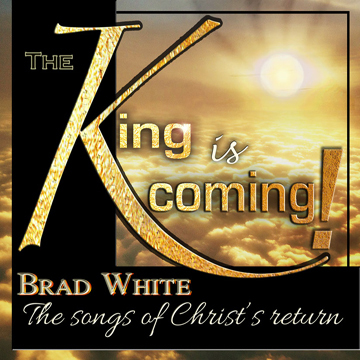 *NEW*"The Songs of Christ's Return"
features 19 great songs 1. One day 2. The Solid Rock 3. Christ Returneth 4. He's Coming Soon 5. Jesus is coming again 6. It is well with my soul 7. Some golden daybreak 8. In the twinkling of an eye 9. We'll work til Jesus comes 10. I know that My Redeemer liveth 11. This could be the dawning 12. Are you washed ? and 7 more!!!!! 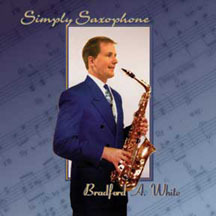 "The Many Sides of Brad White"
features 17 great songs 1. Let's talk about the goodness of God 2. Friendship with Jesus 3. First Day in Heaven 5. Amazing Grace 6. Softly & tenderly 7. We will meet again 8. Tell me 9. Hand in hand with Jesus 10. Wonderful time up there and 7 more!!!!! In his first ever gospel recording, Engelbert Humperdinck sings classic hymns such as Amazing Grace, How Great Thou Art, Precious Lord take my hand, In the Sweet by and by and others. 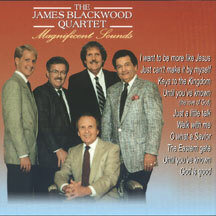 The Blackwood Brothers Quartet (comprised of longtime tenor Bill Shaw, Jimmy Blackwood, Mark Blackwood, Ken Turner and Brad White) back up half the songs, while the legendary Jordanaires back up the other half. 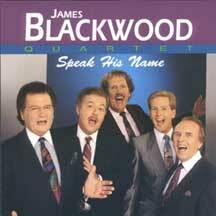 Another gospel first for the Blackwood Brothers. 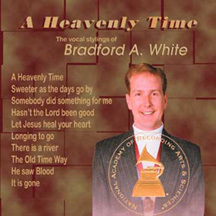 Nearly an hour and a half of GREAT gospel singing in pure Blackwood style featuring the legendary James Blackwood on "I'll meet you in the morning" and "How Great Thou Art"; Larry Ford on "Little is much", Ken Turner cutting up on "This ole house"...as well as Brad singing "Mighty God" and playing "Looking for a city" and "How Great Thou Art." A true collector classic! BOOK ONE: Fundamentals One of the only books designed for Christian students which truly starts at beginner level. Has student playing Christian music before end of first lesson. BOOK TWO: Early Intermediate Book Two continues the series, building larger chords and expanded two hand playing. Focuses on counting, syncopation and the left hand as well as introduces important techniques such as transposition. BOOK THREE: Intermediate In-depth study of transposition, scales and playing in all 12 keys. By end of book, player can play standard hymnal & chorus book arrangements. BOOK FOUR: Advanced Chording Comprehensive teaching manual on adding spice to chording style and using chords for transposition and modulation. Includes "Nashville Numbering System" used by studios. 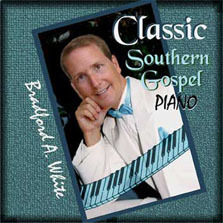 Great benefit for the church musician. BOOK FIVE: "Adding Flare" Step by step teaching of methods to transform a simply hymn or chorus into a showpiece.